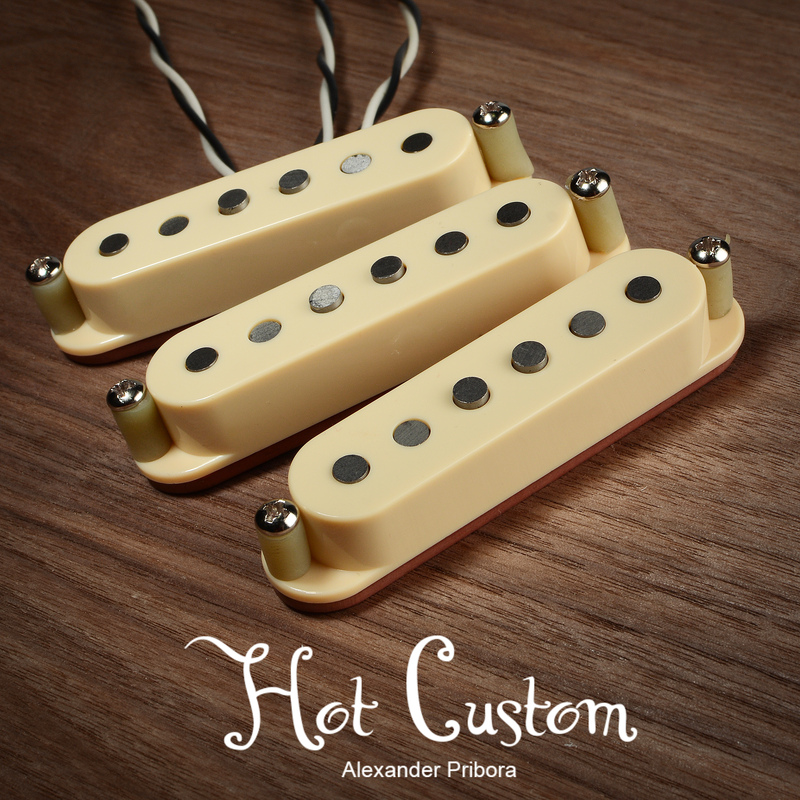 Single coil is made of red and black vulcanized fiber and staggered alnico V magnets. Additionally glued and varnished. Glue eliminates the possibility of detaching the flatwork from the magnets, and the varnish adds additional structural strength and prevents electrical shorting wire on the magnets. 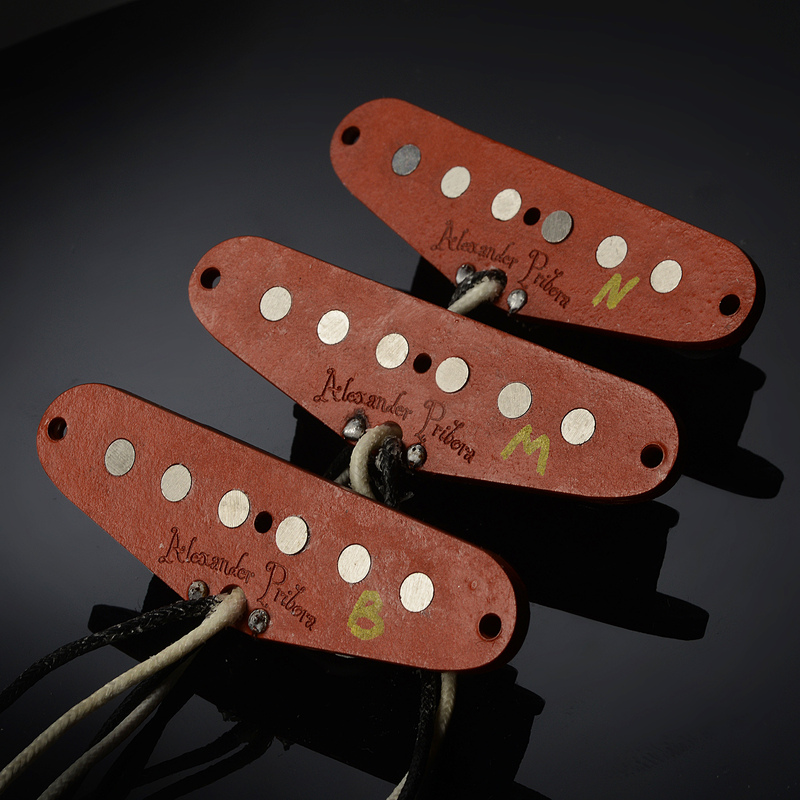 The pickups scatter wound using enamelled copper wire. Awesome pups for awesome price! A great pleasure to play strat with this hot set. Was a bit hazy about them when buying. But this set is amazing! Going to buy another one for another strat. The best pickups I tryed, I’m bassbuilder, Lingman basses, but I’ve buildt some guitars too, and I’ve tryed many pickups, but these made me really happy, I decided to buy the P-bass pickup too, and hope it will be posible to get some J-bass pickups too. This set is fantastic!!! You can play all type of music, from texas blues to classi rock, the pickups are very quite, bridge pickup has something extra and a good punch while the neck pickup is more gentle and has a classic “twang” strato sound. They are very sensitive to the height setting and the distance from the strings! The only one suggestion that I would to send is that I would have improved the yield on the E and B strings.